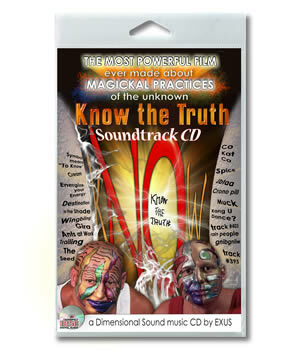 The Soundtrack "The dimensional sound of 'Know the Truth' is an important part of the film. Each song was written through a process of energy patterns, to create sounds that develops your own energy. In 'Know the Truth' we wanted to create a film that will continue to be printed as long as this world exists. In the soundtrack of the film, we wanted to create a CD that will help humans develop in themselves their own energy so that they can better understand their own energy and the energy in this world that is around them. "The Soundtrack to 'Know the Truth' contains 23 amazing tracks.